Michele Beige Tulip Shirt 4079 2766. 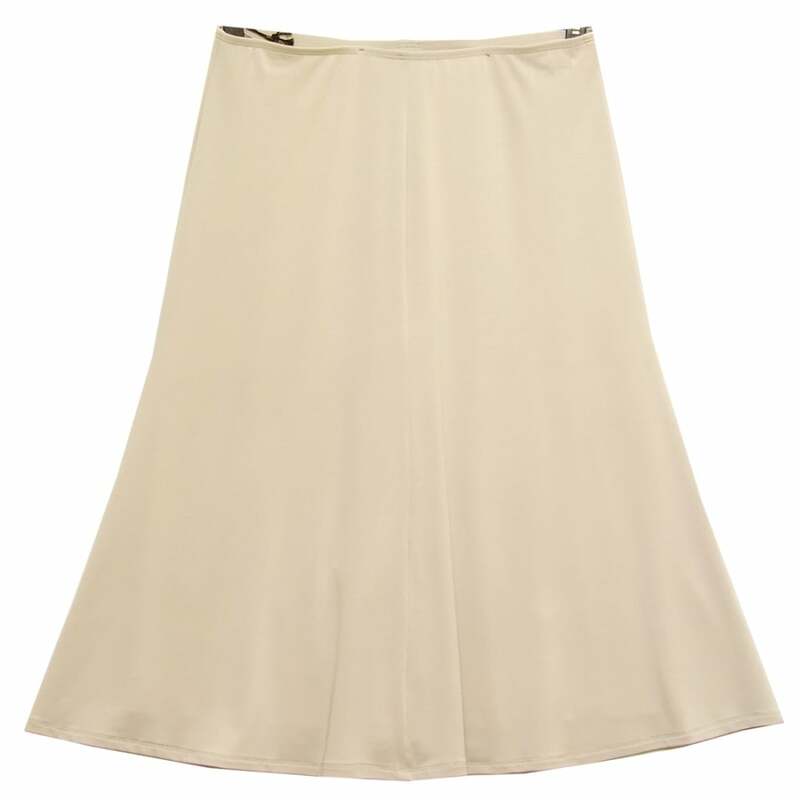 Skirt, mid length, four panel cut with fluted hem, elastic waistband, in a beige stretch fabric, beige lining. 76 percent acetate 19 percent nylon 5 percent elastane shell, 100 percent polyester lining.